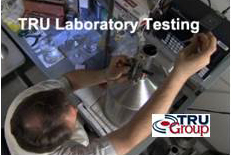 TRU Group Inc Manufacturing Consultants has an excellent comprehensive integrated capability in technical due diligence and business due diligence assessment typically required by an investor company acquiring or investing in others: corporations, holding companies, banks, venture capital firms, investment funds, other financial institutions, company directors, and investors engaged in M&A [Mergers & Acquisitions]. TRU Group has extensive due diligence experience working for America's largest corporations, banks and other investor entities.. Selective Function-Specific Due Diligence - Engineering, Marketing, Operations, Financial, etc. TRU Group Inc is totally independent and bankable adhering strictly to professional ethics & rules - our functional expertise runs deep thus facilitating TRU Group ability to uncover the real situation, calling it "what it is" in plain language and always stand our ground! * The firm has conducted due diligence for businesses and plants $10 million - $1.6 billion. Many assignments are in "next generation technology" space such as a 2015 due diligence of a graphene company for a top tier Wall Street investment bank. Not only have TRU Group core staff been engaged on multi-billion dollar due diligence but we also employ other distinguished world-renown technical experts as required to complement our teams. 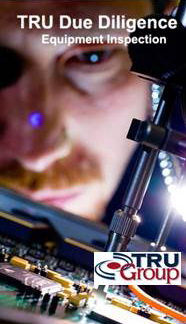 Engineering, Technical & Design Assessments at TRU Group is by American, Canadian or European designated Professional Engineers. TRU is a registered member of Professional Engineering Ontario Canada and "Qualified Persons" under stock market securities regulations. * Important particularly in due diligence, TRU Group President, Edward Anderson FCIArb is a Fellow of the Chartered Institute of Arbitrators. and will provides oversight for your due diligence. ...consult TRU Group on your Technical Due Diligence and Business Due Diligence!